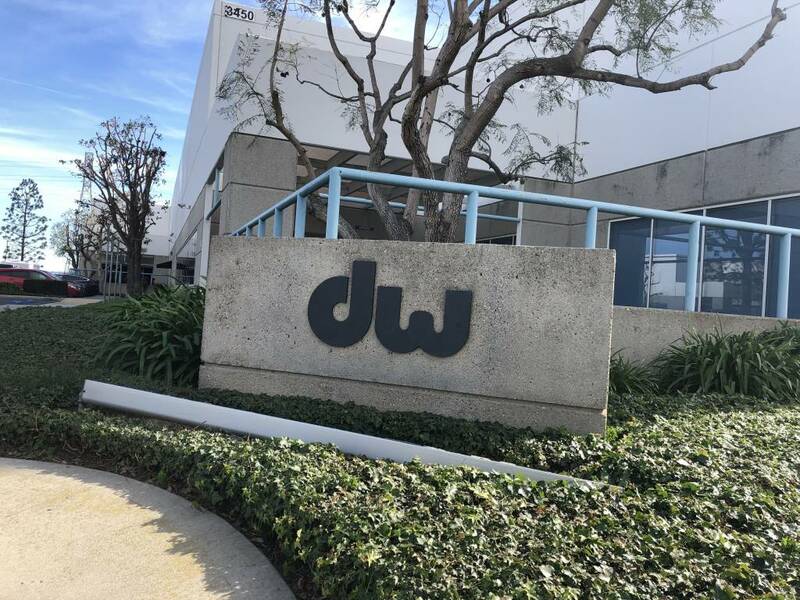 We have been lucky to visit the DW Factory in Oxnard, California several times over the years. But it never ceases to amaze! The amount of hard work that goes into making some of the best drums and hardware in the world is amazing. We have made great friends at DW over the years and always enjoy hanging with them, talking drums, and getting a good feel for whats to come from Drum Workshop! Keep reading to get an exclusive look at whats to come this year! The New DW Almond Collector's Series Kit! We got to sit and listen to John Good tell the story about the origin of this kit and explain how it was the hardest project he has ever worked on. The wood from the almond trees comes in small pieces that have to be put together to create the plies for the drums. Because of this, the construction is very labor intensive, but the kits no longer have the normal stress on the shells, therefore causing a naturally lower pitch. These drums sounded amazing! It was truly a treat to get to see these beautiful drums! The New PDP Classic Series in the new Ox Blood Finish! This finish is a new addition to the awesome Classic Series from PDP! The new Ox Blood finish is a thick red stain, matched perfectly with ebony stained hoops! These kits deliver a modern approach to classic vintage drums! Displayed with this kit was also the new kick drum mic clamp from DW Hardware and this hi hat mount that attaches to your kick hoop! These great new kits bring PDP quality and a super cool finish at the very affordable price of $549 (pictured). There is also a 4 piece shell pack that will be available for $499! This kit is perfect for an intermediate player looking to upgrade their beginner setup without spending too much money. You could pair this with a PDP Hardware pack and a nice set of cymbals and still come in less that $1000! This years DW ICON Series of Snares brings 2 beautiful models. The Hal Blaine Wrecking Crew Snare. Hal has played on 40 number one hit singles, 150 top ten hits and has performed on, by his own accounting, over 35,000 recorded tracks. He is widely regarded as one of the most prolific drummers in rock and roll history, having "certainly played on more hit records than any drummer in the rock era250 will be made and each one is hand signed by Hal! The Earth, Wind, & Fire Icon Snare! This is actually a picture of the snare in the middle of being built while we were touring the factory. We will have this beauty at Sims soon! Wait til you see the finished product! Limited Edition Gretsch USA Custom Red Gum Kit! This beautiful kit is part of the USA Custom line, which along with the Brooklyn Series, are all made in Ridgeland, SC! We got to sit and listen to Paul Cooper from Gretsch go over their new product and discuss how Gretsch is growing as a brand and continuing to produce some of the best drums in the world. We are so grateful to have such an amazing company in our home state! After checking out all the great DW and Gretsch gear, we got to sneak over to the LP Cajon Shop! This was probably the coolest part of the day. We got to hang with Josh, who is in charge of all of the design and production of the LP Americana Series cajons. We carry a wide variety of these cajons and Justin Sims even helped design one of their limited models last year. We have sold out of those cajons but we got word that they did so well, theres a good chance we see more coming out soon! We also got to discuss possibly building a limited run of cajons just for Sims Music! We can't wait for you to see all the great new product Josh and his team have coming out soon! We had an absolute blast at the DW Factory today and are super excited about all of the great new gear coming out! More importantly that the cool stuff is just seeing all the hardworking employees at DW, PDP, LP, and Gretsch that are so dedicated to continuing the growth of brands that are already known as the top in their fields! Great people, great product! Thanks for reading about our visit! Get ready for a week full of pics, videos, and more!